When I was a student, it's very far from me. Deeply on my mind, I know English is very important for me, for my job dream. I am too lazy to learn it. When I graduated from university, I am really worry about my English level. Many night I find the way to learn it. A day, everything changed when I met him, my English teacher. Maybe you think it's funny, I didn't learn English from him, I learnt dreams, plans and truly life. He change my view to English. It's simply, ENGLISH IS TOOL AND ONLY IS TOOL, it's what I want to get my goal. If you want to improve your English level, ok, don't LEARN English, don't STUDY English. The best way to you is USE English. 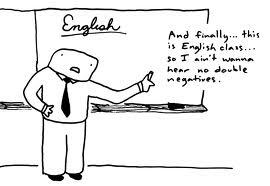 I promise to you, if you think English is a subject in school, you will never master it. No method can help you if your think don't change. OK, make sure you understand my idea. In acticle I will show your some ways to get English from some researchers. It's good for me and It will good for you. - Mr Hung come from Vietnam. He master English and got success in work. You can find his videos. English will be in your hand. You pay money for it, mean you pay money for success.I know many way easy to get Effortless English videos and audios in the internet, but I am worry about what easy to get is what easy to lose. Before you study with it, remember you need to read all suggestion from Effortless, I promise it's very useful. - Duncan, English tearch, found funny way to study English. English will become to you quick and easy. In Youtube search: duncan in England. You can find his videos lesson, hope fun! OK, it is some materials to you, but it's not all. Now I will show you how I USE English. I think it will useful to you. - Write your plans or private diary daily. Daily plans write today and clear tomorrow, don't worry about English grammar. Private diary, only you can see and you can see your English improve everyday, don't worry about English grammar, free to write. You can write it on your computer, many tool help you correct it, you will get better in short time. - Thinking by English. I think I will difficult to you, me too. I don't worry, you need only remember it and try to think by English always you can. After time, you will get it, you can do it better. I think that all for me today. I hope English become your tool! It will become everyday listening of me.